Flexible multi-strand conveyor systems are at the heart of what we do here at Glide-Line. Using innovative ideas on how conveyors can be applied, maneuvered, programmed, and designed for maximum efficiency, we’re able to directly impact throughput and improve our clients’ customers’ bottom lines. One such example is the four ways we’ve used a Lift and Rotate Unit, or LRU, to convey and orient products for visual inspection. A programmable, step-servo-driven rotating pallet solution or its counterpart, our equally programmable conveyor-shifting floor-mounted solution (the Drop and Rotate Unit), has allowed our integrator clients to change the game of automated visual inspection. 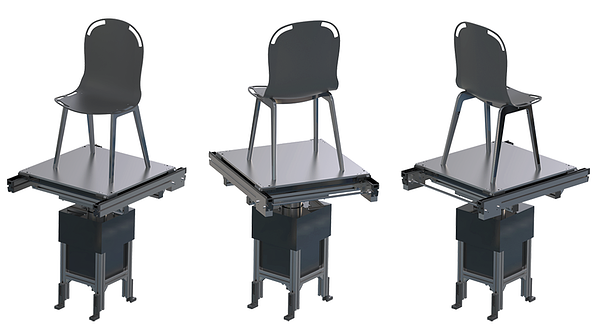 Glide-Line’s Lift and Rotate Unit changes the position of your client’s product without having to remove the product (or pallet) from the conveyor line (whether using a robotic arm or a manual process). This makes applications, such visual inspection using the LRU, simpler. The rotation of the pallet is controlled using a servo-powered motor, which is programmed to make rotations smoothly, exactly at the angle needed for inspection. A servo-powered rotating conveyor pallet, part of the Lift and Rotate Unit from Glide-Line, can make programmed rotation stops. The pallet can be programmed to stop as many times as needed in one degree increments for 360 degrees. Thanks to the servo-driven rotation, the acceleration and deceleration are smooth at each of those rotation stops. The turning servo-driven LRU pallet moves within a revolution at any angle in unlimited increments and even at varying speeds. It’s programmable to accomplish defined, accurate, precision pallet stops within a process. Automated visual inspection becomes a more reliable undertaking using the continuous product revolution abilities of the Lift and Rotate Unit. The highest volume use case for the LRU with consistent rotation is visual inspection. This is impossible with other lift and rotate conveyor applications. In the past, you may have avoided designing this altogether, or the solution may have been to design multiple stations with a camera at each one inspecting various points on a product. Camera systems like this, with full implementation, can easily cost $20,000. Instead, with consistent rotation available with the LRU, you’re able to present the product in front of just one camera for visual inspection, rotating the product to any angle necessary within one station. This enables you to to condense your system and make it more flexible. Visual presentation isn’t just for cameras. Manual visual inspection of large products is also possible using the floor-mounted Drop and Rotate Unit, also known as a DART. This variation on the Lift and Rotate has the ability to rotate products to multiple pallet positions within a process. For example, a furniture manufacturer’s process may require visual inspection of all sides of a small chair before it’s packed and shipped. Despite its large size, the floor-mounted DART turns the entire pallet so one person can inspect the entire product, instead of requiring the operator to walk around the conveyor to inspect all sides, or requiring multiple operators on multiple sides. Using the Drop and Rotate version of the LRU this way makes for a far more efficient process. We can even make a manual rotating version if you’d like. Flexible conveyor systems can add efficiency while saving space and steps in your client’s automation process. 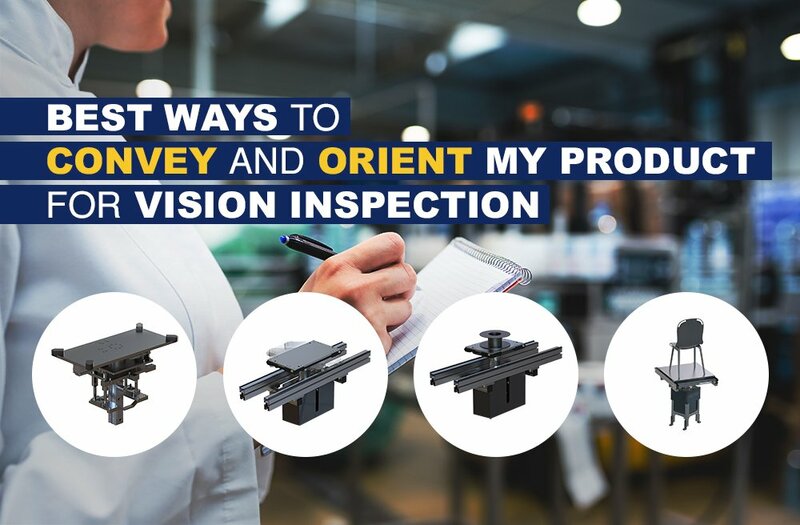 Conveying and orienting products for visual inspection, all within the conveyor line, is just one way we’re innovating automated conveyor processes for the good of design engineers and their clients. Read our ebook for more examples.